The AVS Corp Automated PCI tester fully automates the testing of PCI boards. The operator simply places the boards to be tested onto trays and presses the start button. 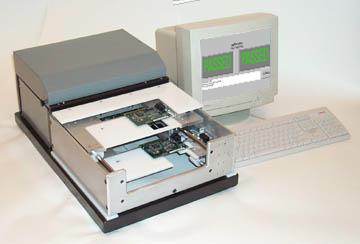 All connections to the board are made automatically including the PCI edge connector and any connection to the bracket side of the board. The tester is capable of handling two boards at a time so that board to board tests are possible.